Spring has arrived and that means that our cats Byron and Shelley are going mad chasing all the new things in the garden. luckily they rarely catch anything, but they have a lot of fun trying. Many of your cat too will start to want to go outside more now that the weather is better, but there are things out there in your garden which can be danger. So this month i have included our cat article about making sure you have a safe garden for your cat. 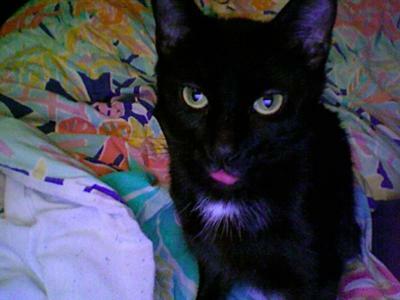 hope you are all well and i hope to see you soon on my site Our-happy-cat.com. 5.. Article - Make your garden cat safe. We have had lots of lovely cat photos sent to us over the past month. Here is just a selection of those entries, Visit the cat gallery to see more. Enjoy. Click on their pictures to find out more about them. Here is April's Caption Competition. 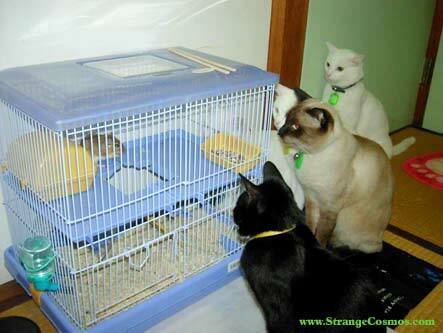 All you have to do is write a caption for this picture. . Simply send us your caption to go with this picture. The deadline for this competition is April 23rd. The best caption will be chosen and the winners name and caption will be posted on the www.our-happy-cat.com competition page. 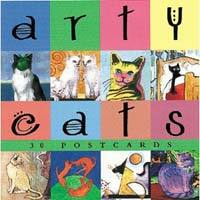 This month the prize will be a copy of the Postcard book "Arty Cats." 30 cat postcard inspired by famous works of art.. It's been a horrible week of cold wet weather here in the UK and the cats Byron and Shelley are really fed up with it. they hate going out when the weather is wet and so they have been prowling round the house looking really miserable and has even been playing together just a little to hard and its the first time I have ever seen one of them hiss at the other. So I have had my hands full this week trying to keep them amused during the day which means that I haven't been able to do as much work as I need to. what do you do when your cats get bored? There's a back-story needed to explain it. In spring of last year, I returned from a 4 month stay in Japan, which turned my life upside-down. I decided to foster kittens for various reasons, not the least of which is that I love animals and I feel like anyone with the space and time in their life to help should try to. The SPCA gave me three 3-week-old babies who needed bottle feedings and warmth, but didn't tell me that they were having a panleukopenia outbreak at the shelter at the time. For about two weeks, the kittens did wonderfully. They were growing -- they moved from crawling to walking, they gained weight, they started following me around every time they were out of their heated pen. They even started to climb my legs when I was preparing their formula! But one of them was hanging back. Not walking. Not gaining weight, and refusing food. I took her back in and they tested her for panleukopenia, which came back positive. They told me she would be put down, and the other two should be as well, since it was so brutally contagious and baby kittens really don't ever survive it. Making sure you have a safe cat garden is doubly important during the warmer months of the year. After all this is when your cat will spend most of its time roaming and exploring outside and although you can never protect your cat from every danger you certainly can make sure that you have a garden that is as safe as possible for your feline friend. Our cat Little Mo is definitely a summer cat, she spends all winter looking sad and curled up next to the fire and yelling at us when it rains. But as soon as the weather turns a little warmer, well we hardly see her, she just can't wait to get outside and lie in the sun and hunt around the bushes for little insects to play with. She never roams far from home these days, so the garden is definitely her main territory. Many cat owners are worried about letting their cat outside in case they roam too far. However if you can make your garden as safe and as interesting as possible for the cat, they will have far less desire to go off in search of somewhere more interesting to play. 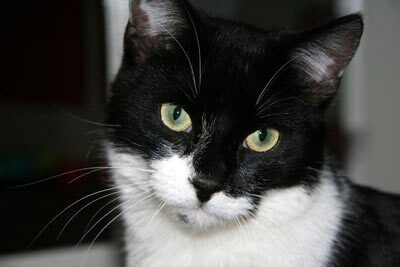 Also making sure your cat is neutered will also help to keep them closer to home. To understand how your cat sees your garden is the first step in making your garden safe for your cat. So get down on your hands and knees and see your garden from your cats eye view. Ponds and pools - Although cats can swim they are not the best and so ensuring that ponds and pools are covered when not attended is essential to prevent kitty falling in. Wire mess is a good option for ponds as it still allows light to get to the water and if your cat decides to go fishing both your cat and the fish will be safe. Trees - cats love to climb, it is a natural instinct and generally they are very good at it. However if you have very tall trees in your garden and a cat that just loves to climb them, it is a good idea to place netting around the base of the lower branches in case of falls, it may also deter your cat from climbing them in the first place.